MIAMI COUNTY —The granddaughter of the elderly Tipp City man discovered dead from an alleged homicide in a Kentucky park was arraigned on charges for stealing his guns and then selling them to a gun dealer. 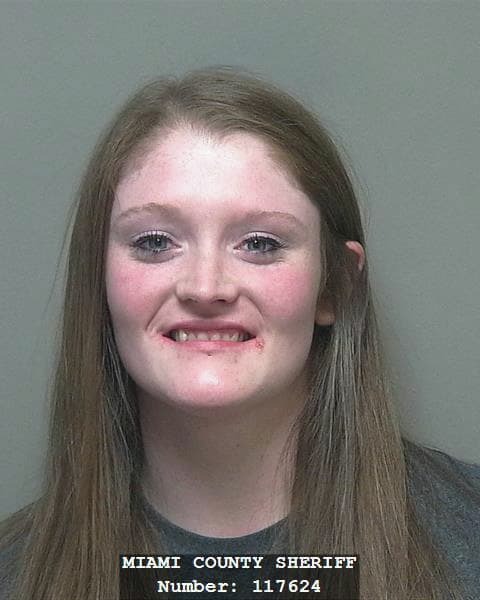 On Tuesday, Hope Earnshaw-York, 24, of Tipp City, was arraigned on three counts of receiving stolen property related to three guns which were stolen from her deceased grandfather, William York Sr. and later sold to a gun dealer. Her bond was increased to $160,000. Her boyfriend, Richard Terrel, 35, of Tipp City, was arraigned on two counts of receiving stolen property on Tuesday. His bond was increased to $150,000 bond. On Tuesday, Prosecutor Kendell said he has been presented the case file on William York Sr.’s alleged homicide by authorities and is currently under review. Terrel is set to appear Miami County Municipal Court on Thursday. In the months before his death, York contacted Tipp City Police twice about items he believed were stolen from his home. In May, York reported to Tipp City police that seven guns were missing from his gun case. He did not want to pursue further action at that time, saying that he wanted police to know the firearms were missing.